Wisepops is 100% compatible with Magento 1. 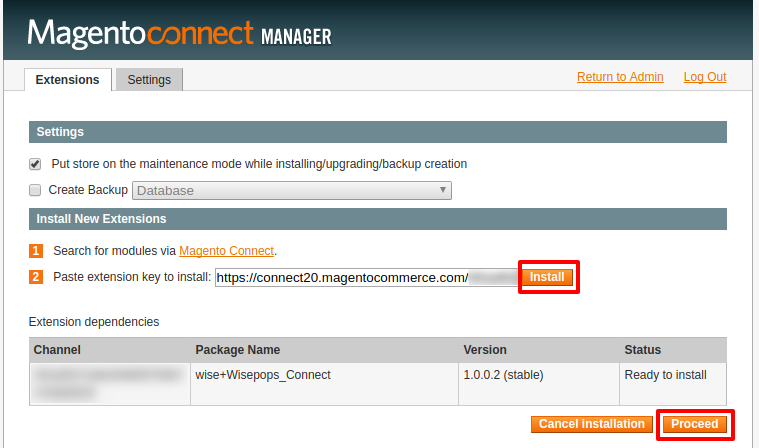 Follow these steps to set up Wisepops on your Magento store. Important note: you can also use Google Tag Manager to set up WisePops, especially if you're using Magento 2. Visit WisePops’ page on the Magento Marketplace. Add the app to cart and go through the checkout process. Install the extension, by using Magento Connect Manager access key or direct plugin upload. Go to your Access Keys page, and copy the access key attached to "WisePops Intelligent Popups"
Paste the key, click on Install, and Proceed. Download the WisePops plug-in from your "My Downloads" page in your Magento account. Extract the content of the archive inside your Magento application. You will notice that the structure matches the Magento structure with the app and design folder. Copy and paste the content of the archive directly inside your project. We recommend testing the setup in your development environment before deploying in production. Check that you have access to WisePops configuration. To do so, go to your Admin then click System > Configuration. 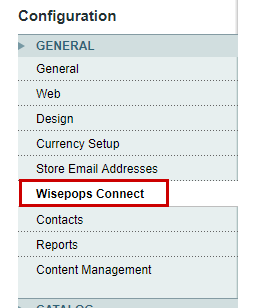 In the general section you should find : WisePops Connect. Edit the file app/etc/modules/Wisepops_Connect.xml and verify that the value of the node active is true. Register on WisePops first and follow the instructions below. Once done, select Yes under "Activate WisePops".